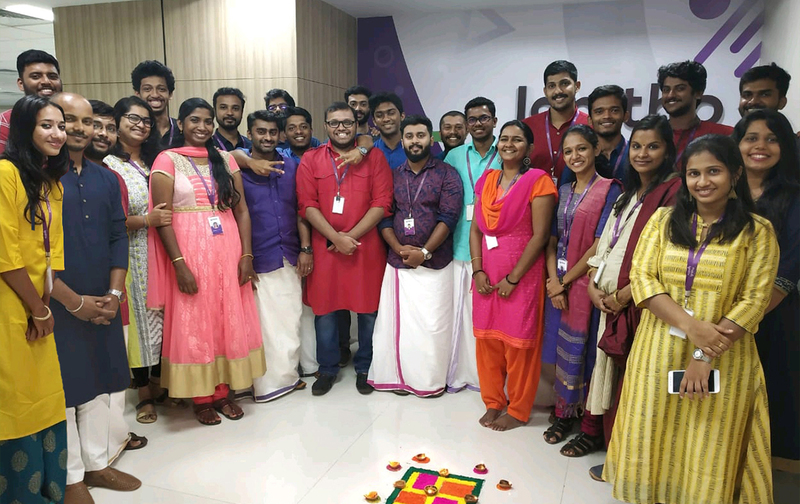 At Ignitho, we are the believers and followers of Igniting Thought to build innovative technology solutions, deliver success to our customers and bring joy to our teams and society. We provide a collaborative working environment where passionate individuals work together to fulfil their dreams of becoming Thought Leaders in their domain of expertise. Through our unique platform Ignitho Ventures, we present each Ignitor with a chance to become a successful entrepreneur, staying true to Ignitho’s ethos of entrepreneurship and partnership. If you have the passion, rigour and enthusiasm to make things happen with a focussed approach, this is the right place for you! A team of Proud Ignitors awaits you here.